Younger workers have the expectation of being connected, so having rigid cellphone-use rules can cause unnecessary conflict, says Suzanne Sears, president of Best Retail Careers, a staffing agency and consultancy. In this age of endless connectivity – and the expectation of it – most people use their personal cellphones occasionally at work. Most, too, can recall a time when they’ve waited to be served by someone distracted by their phone. So where does the balance lie for employers weighing safety and customer-service concerns, but who also want to create an environment where workers don’t feel policed? What kind of rules should govern personal cellphone use in the workplace? 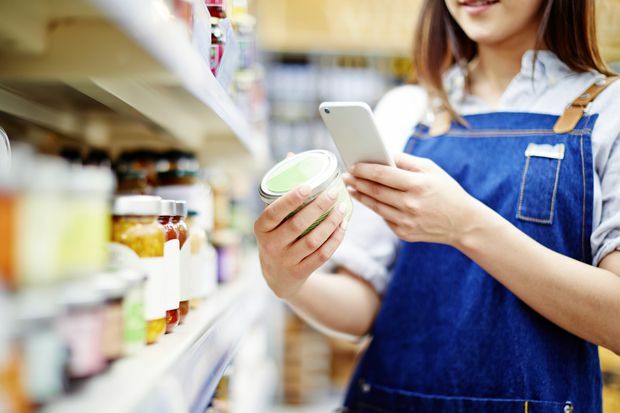 While industries that involve driving and food service continue to draw a fairly hard line – even using technology to prevent phone use in some cases – many companies have adopted a more liberal stance than one might expect. Retailers including Sephora, Lowe’s and Indigo are among those now comfortable with their employees using their phones at work, because they’ve turned phone use into a benefit for the business, says Suzanne Sears, a retail consultant in Burlington, Ont. Ms. Sears, president of Best Retail Careers, a staffing agency and consultancy, says retailers who encourage workers to post photos of the merchandise can tap into valuable – and free – social media advertising. In restaurants, where customers do not look kindly upon staff cellphone use, a popular solution is to offer a short break each hour – not unlike a smoke break – for staff to go to a separate area to check their phones. Hospitality consultant Geoff Wilson, principal at fsStrategy, says phone use isn’t conducive to remembering detailed orders or paying close attention to a diner’s needs. He believes there is also a safety argument, saying distractions should be avoided while preparing food or carrying dishes and trays. “Near hot surfaces, using knives, with anything like that, total focus is required,” Mr. Wilson said. Ontario’s Employment Standards Act is silent on the issue of cellphone use, leaving it up to employers to decide what is appropriate in their particular environments. In industries where phone use could be deadly, such as among commercial drivers, some companies are turning to technological solutions to circumvent distractions. Geotab, a fleet management service in Oakville, Ont., recently partnered with SafeRide, an app that prevents drivers from using their phones while they are behind the wheel. Once installed on a cellphone, the app recognizes the user’s vehicle and prevents them from unlocking the phone while the vehicle is in motion. “When you go to check your phone … it’s a gentle reminder that you shouldn’t. A few weeks in, you learn to drive without it,” said Scott Rownin, SafeRide CEO. It also mutes audio alerts, which play a major role in distracted driving. Even so, the product has been a hard sell to individuals. Fleet managers, on the other hand, see value in protecting their employees and vehicles and have the power to enforce the product’s use. Kelly Hall, public relations specialist for Geotab, says the company has “had countless requests from our customers and partners for a cell block/cell control integration.” Since their partnership launched Aug. 20, SafeRide has been installed on the phones of thousands of fleet drivers serviced by Geotab. Mr. Rownin, whose business is based in Connecticut, sees a world where new phones are sold to the consumer with SafeRide already installed, and has been courting service providers Rogers, Telus and Bell to that effect. He also sees a use for the technology in passenger vehicles, such as those deployed by taxi companies, Uber and Lyft. While many employers are looking for ways to get their workers off their personal devices at work, some are tackling the opposite problem: how to get them off their work phones while at home. A paper published by York University researchers in September has suggested that new ways of looking at work-life balance are required now that work has become more flexible and portable. Earlier this year, Flipd – an app mostly used in the classroom – ran a pilot program with retail platform Tulip to motivate staffers to leave work behind at the end of the workday. The app gamifies the experience of spending time away from the phone and makes “you feel like you’re accomplishing something,” says Flipd co-founder Alanna Harvey. She says Tulip’s leadership reported significant anecdotal benefits from nudging employees to stay off their phones for at least one hour per evening, and offering prizes for participation. “They found themselves more mindfully doing chores and tasks they might not have otherwise allocated time toward, and being more present [with their families],” said Ms. Harvey, whose company is based in Toronto. Ms. Harvey says people have suggested that Flipd could also be used to keep people off their phones while at work, but she sees excessive phone use at work as a sign workers aren’t getting enough personal time.